In the first set of full quarter results since the UK’s shock Brexit decision, leading Spanish property portal Kyero.com has reported that business is booming. The company had already reported a record-breaking August and has now confirmed that Q3 2016 ended with an even stronger September. In fact, September 2016 was Kyero.com’s busiest month ever. September buyer enquiries totaled 62,596 during the month (an increase of 64% since September 2015), while overall users rose to 434,367 (a year on year increase of 13%). 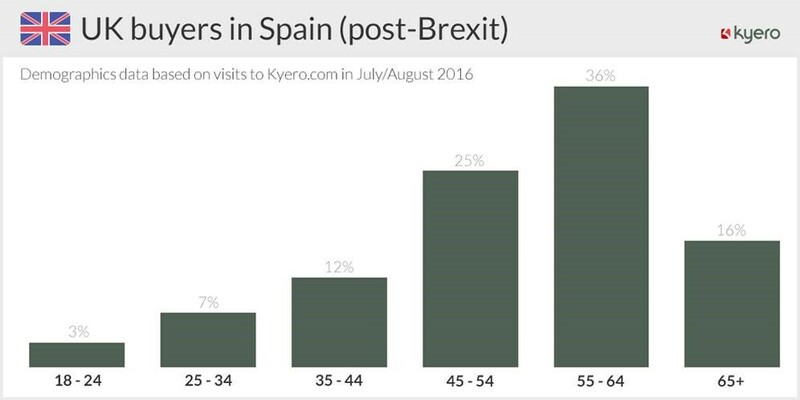 As indicators go, the figures certainly point to Brexit doing nothing to dampen British enthusiasm for second homes and retirement properties in Spain, particularly considering that that 27% of Kyero.com’s users are British. 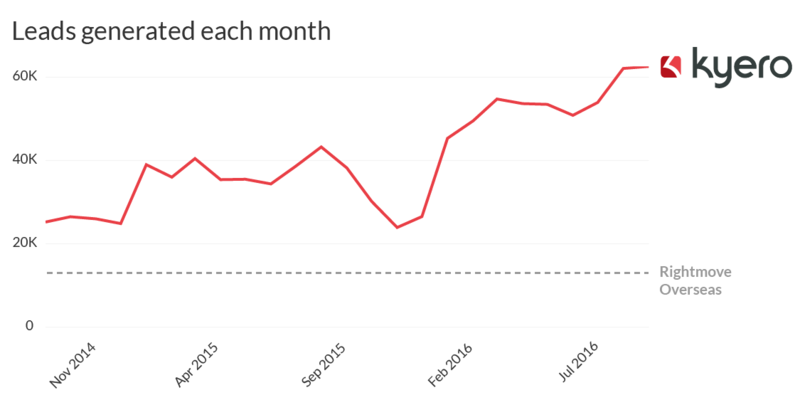 Kyero.com’s success over the summer months has been such that the site has moved into a leading market position, outperforming its nearest competitor (Rightmove Overseas) by four to one based on search activity (Rightmove Overseas reported a rate in Spain of over 500 leads per day in June 2016, or around 15,000 per month, compared with Kyero.com’s 62,596). So what’s next for the record-breaking portal? Kyero.com covers all regions of Spain and the Spanish islands. Trending searches currently include properties costing an average of €110,000 in Torrevieja, €349,000 in Estepona and €144,000 in La Marina. Marbella is also still popular, with average property prices of €543,000 according to Kyero.com’s latest data. For further details visit www.kyero.com. This is the message from the latest market report from leading Spanish property portal Kyero.com. The company’s Spanish Property Report September figures reveal that buyers are beginning to trim their budgets, with enquiries falling on properties over €250,000 and increasing on homes costing €150,000 or less. Overall for the month, 62% of enquiries were for properties costing less than €150,000. “September has thrown up the first visible effect of Brexit on the Spanish holiday home market. Overseas interest remains extremely buoyant but buyer budgets have notably reduced. “With British buyers making up 21% of foreign house sales in Spain (and 27% of Kyero.com’s traffic), the strength of sterling is important. Its fall since the referendum has reduced purchasing power, but seemingly not people’s willingness to buy abroad. Kyero.com’s analysis of trending destinations emphasises buyers’ pursuit of less expensive properties. The top five destinations were all priced at €150,000 or less. Torrevieja was the most popular area for enquiries during September, with an average price of €110,000. While that kind of money wouldn’t go far in the UK, in Torrevieja €110,000 is enough for properties ranging from a three bedroom penthouse apartment just 200m from the sea to a picturesque townhouse close to the beach. 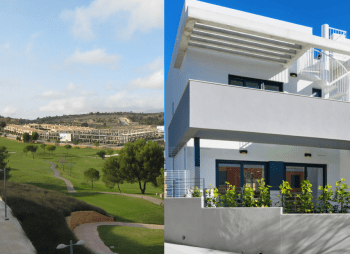 Homes at Murcia’s Alhama Golf Resort were the second most enquired after location during September, with an average price of just €73,000. Properties in LLiria were next, at an average cost of €110,000, which is sufficient to buy a detached, four bedroom villa with its own pool. The fourth most popular destination – Alicante – saw prices rise to an average of €144,900, which is enough for anything from a three bedroom apartment with communal pool to a four bedroom country house with pool and barbecue. Corralejo, on the island of Fuerteventura, took the fifth spot, with an average price of €150,000 – enough for a range of contemporary villas close to the beach. 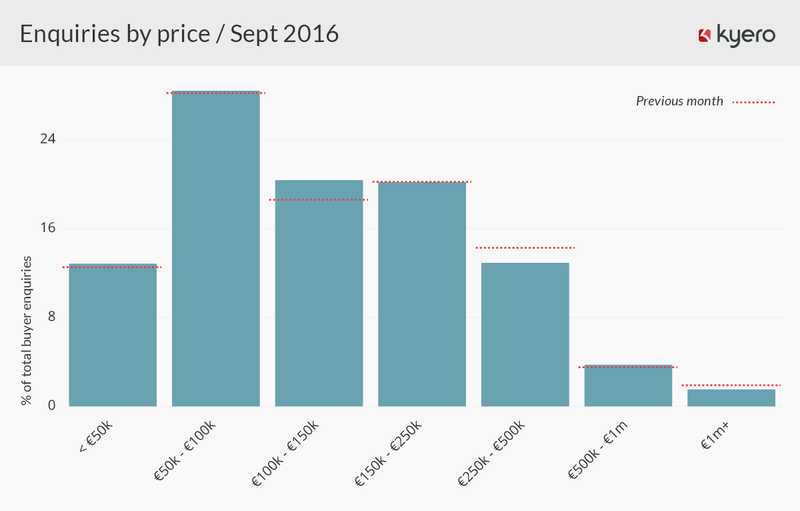 With 434,000 users in September and 62,596 recorded property enquiries, Kyero.com’s research provides significant insights into the state of the Spanish property market and in particular the impact that British buyers are having. Brits are the single largest overseas nationality in the market and their actions are significant as a result. 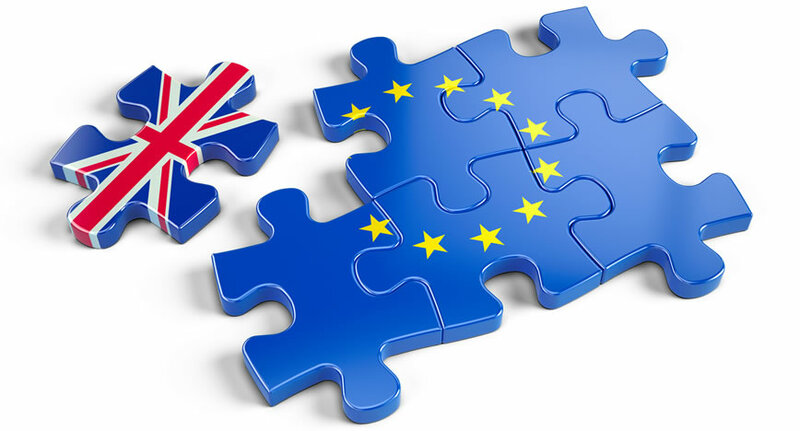 Analysts will be watching carefully to see the knock on effect that Brexit may have on Spanish house prices as a result of British buyer activity over the coming months. Wine tourism’s position as an important global element of gastronomic tourism has been cemented by the holding of the 1st UNWTO Global Conference on Wine Tourism in Georgia. The event attracted tourism experts, wine professionals and policy makers from nearly 50 countries, all looking to expand upon the considerable success of this global tourism sector. Data compiled by leading Spanish property portal Kyero.com has revealed how wine tourism can play into other factors within a country, such as the property market. Kyero.com’s data reveals the ideal second home locations for all those with a love of Spanish wine. The world’s third largest wine producer and its biggest wine exporter, Spain has earned a loyal following around the globe for its robust reds, crisp whites and delightfully drinkable rosé wines. Wine tourism in the country is popular among those who want to explore Iberia’s culinary delights. Now, Spanish wine lovers can take their passion one step further and pick up the perfect property as well as the perfect plonk, thanks to Kyero.com, the main source of trusted information on buying a home in Spain. Yet according to the Kyero.com data, La Rioja is the joint cheapest wine region when it comes to purchasing property, coming in at an average of just €1,300 per square metre. 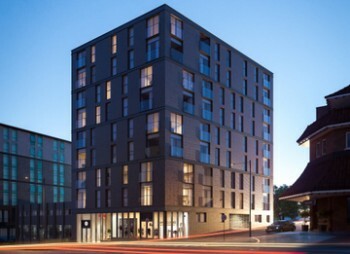 Those on a budget can pick up a one bedroom, one bathroom apartment in the pretty city of Logroño – the autonomous community of La Rioja’s capital – for a mere €29,200. That’s the same price as just 70 bottles of the region’s priciest vintage, Contador. Wine lovers looking for a base in Ourense will be delighted by this impressive, seven bedroom 19th century manor house, which comes with swimming pool, three car garage and plenty of land, including mature walnut, hazelnut, palm, oak, chestnut, magnolia, fig and cherry trees complete with automated irrigation system. The property is on the market for €450,000. At the other end of the price scale in Ourense comes this two storey house with 70m2 vineyard for just €16,000. Needless to say the property could do with some work, but it does have running water and comes with five pieces of land that cover more than an acre, so would make an ideal project for someone looking to take their love of Spanish wine to the next level by owning their own vineyard. Buyers wanting their own vineyard, rather than a view of someone else’s, have plenty of choice in Spain. Commercial opportunities include this working Chantada vineyard registered on the Board of the Qualified Denomination of Origin Ribeira Sacra, complete with two storey property, for €120,000. An operational wine cooperative near Chantada is also for sale, priced at €450,000. The property comes complete with a hectare of vines and a vast array of modern equipment with a production capacity of 200,000 kg. Those looking for a slightly smaller scale venture will be delighted by this two bedroom farmhouse with vineyard near Asco and the River Ebro, on the market for €169,000. A tasteful renovation has modernized the property while retaining the original features and there’s even a wine store outbuilding for storing wine produced from the vineyard. What oenophile could ask for more? 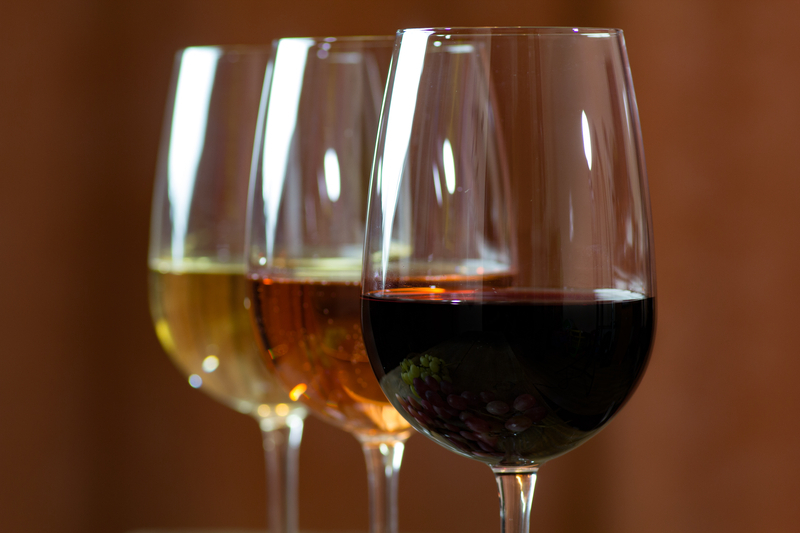 For further details on the perfect homes to buy in order to enjoy the wines of Spain, visit www.kyero.com. Newly released data from Spanish property portal Kyero.com has revealed that the British appetite for retirement properties in Spain remains strong, with Brexit seeming to have done little to dampen the plans of older Brits to spend their golden years in the sunshine. Launched just six weeks ago, the Kyero.com Expert Guide to Retiring in Spain has already been downloaded more than 2,000 times. The figure indicates the strength of the level of interest in Spanish retirement properties, from apartments with pools in Marbella to luxury villas on islands like Tenerife. Meanwhile, data from visitors to Kyero.com has shown that those approaching their retirement in Britain are more likely than their European neighbours to seek out the perfect property in Spain. 36% of Brits who searched Kyero.com in July and August 2016 were aged between 55 and 64 years old. That compares with 33% of French, Belgian and Swedish site users in the same age range, 32% of Dutch users, 24% of Germans and 20% of Italians. Spanish tourism figures certainly reflect the country’s continuing popularity with holidaymakers. Spain has topped the global Travel and Tourism Competitiveness Index ranking for the first time, according to the World Economic Forum’s Travel and Tourism Competitiveness Report 2015, while inbound trips increased by 4.8% for the year, to a total of 68.1 million visitors. 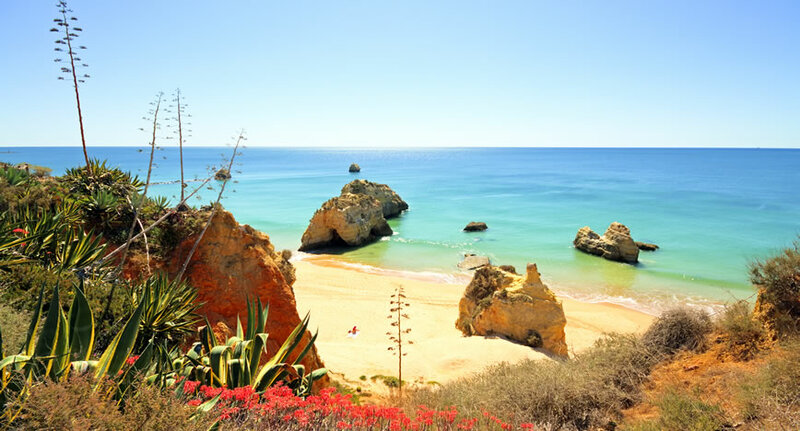 The Iberian country looks to be on track to remain a key tourism destination for the rest of the decade, with Canadean’s Travel and Tourism in Spain to 2020 report projecting growth at a CAGR of 3.3% over the course of 2016-2020. Such an increase would result in inbound visitor numbers reaching 80.3 million by 2020. For further details, visit http://www.kyero.com/. At the upper end of the market is this luxurious, contemporary villa with pool in Estepona. Previously on the market for €3.995 million, the villa has been reduced to €3.45 million, providing one lucky buyer with a jaw-dropping discount of over €500,000. This gorgeous four bedroom villa with pool and terraces overlooking the whole of Barcelona has also been reduced by more than €500,000, down from €2.5 million to €1.95 million. The middle of the market is also packed with post-Brexit bargains. This four bedroom villa in Javea, split over three levels and complete with pool and sea views, has been reduced by more than €100,000, with the asking price dropping from €695,000 to €590,000. Also on the coast, in Moraira, buyers can enjoy a €100,000 discount on this five bedroom villa with pool and barbecue area, which is now on the market for €549,000. Even buyers with €250,000 or less can take advantage of the post-Brexit bargains available in Spain right now. This semi-detached house with pool, barbecue area and large, mature garden with fruit trees has been reduced to €250,000 from €279,000. Meanwhile this country villa on the outskirts of the pretty village of Simat de la Valldigna comes complete with private pool, mature gardens, barbecue and carport, with a discount of €15,000 knocking the asking price down to just €121,000. For further details, visit http://www.kyero.com/. For the latest data on the state of the Spanish property market, visit data.kyero.com. Parents across the UK are enjoying their summer holidays and heading into the sunshine with their families, while back home the news spreads that 10 councils have now dropped cases against those who took their children on holiday during term-time. A further six councils have stopped issuing fines and 11 more are reviewing their policies, after Isle of Wight father Jon Platt won his High Court case earlier this year, with the court backing his refusal to pay a penalty for taking his daughter to Disneyworld during term-time. Seen as a victory for parents across the country, Platt’s case has meant the body of support for the lifting of the term-time holiday ban has grown rapidly. The current law means that parents are forced to take their children away only during holiday periods, when travel costs are considerably higher. The lifting of the ban would give greater flexibility to families and allow them to reduce the costs of their trips abroad. “Nobody wants to pay over the odds and a lifting of the term-time holiday ban would certainly put parents in a stronger position when it comes to affording their family holidays, although of course any such move would need to be balanced by ensuring that children’s education was not disrupted in any way. It’s a difficult matter to rule on, hence Mr Platt going all the way to the High Court! Dell goes on to recommend Spain as an excellent choice right now. International ratings agency Moody’s has forecast that Spanish house prices will rise by 5% this year, meaning buyers can look forward to the expectation of capital growth, as well as having a wonderful home of their own in Spain to enjoy. Couple with that is the fact that prices are still low in many areas of Spain, even in top locations. A beautiful four bedroom, three bathroom villa with sizeable pool in the olive-growing region of Seville can be purchased for €133,000. A summer house on the edge of the garden and a self-contained studio above the garage offering flexible entertaining and living space for families of all shapes and sizes. Even in the tourist hotspot of Marbella, bargains are still to be had. This two bedroom apartment with several pools boasts sea views, marble floors and a large covered terrace, all within a private, gated complex. Costing just €99,500, it would make an ideal family holiday apartment for those wanting to enjoy the Marbella lifestyle but without the usual hefty pricetag. Barcelona also still offers some surprising bargains. This bright, modern apartment with three bedrooms is available for €95,000 and would make an ideal second home for families looking for a base from which to enjoy the cultural sights and gourmet pleasures of this fascinating city. From rural retreats to coastal complexes to big city bolt-holes, Spain has serious bargains available to those who know where to look. 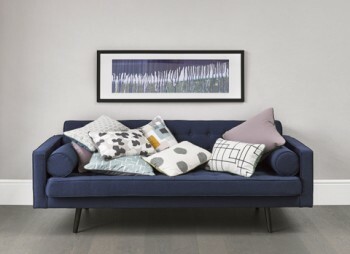 But with property prices due to rise and greater flexibility over holiday times making second home ownership more attractive to parents, buyers need to act fast if they want to get maximum value. 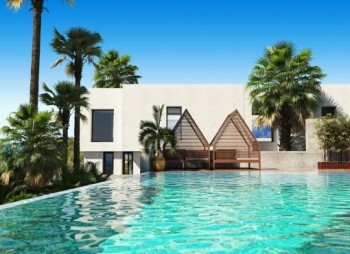 For further details on Spanish second homes for the whole family, visit www.kyero.com. For the latest data on the state of the Spanish property market, visit data.kyero.com. “We are optimistic here at Kyero. 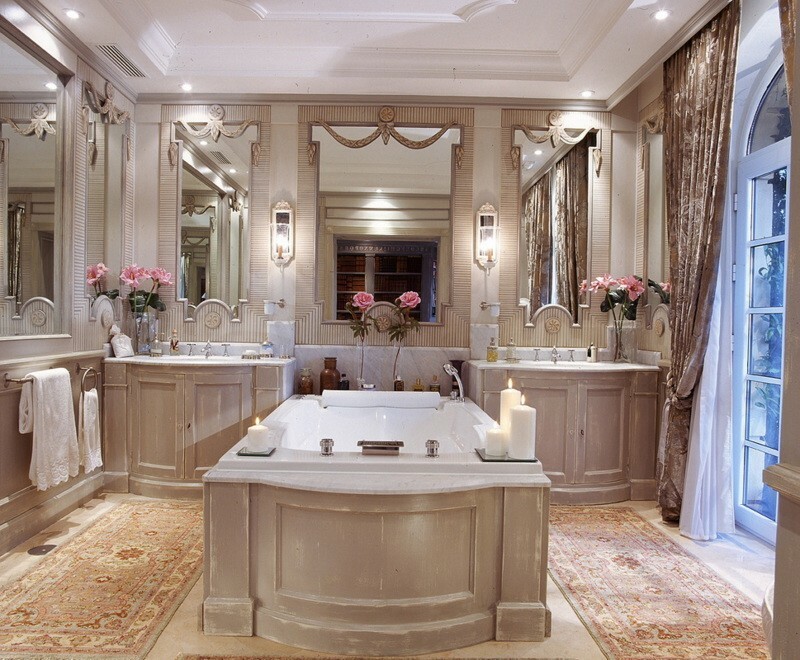 “The Brits buy in Spain for the wonderful climate and bohemian lifestyle. That hasn’t changed and houses in Spain will always have a pull for the British purchaser. Common questions that are being asked now are answered by the experts at Kyero.com. The exchange rate is expected to be volatile over the coming months, but buyers can take steps to insulate themselves from currency risk. We strongly recommend Smart Currency Exchange, who have experts on hand to ensure you get the best deal. For now, yes. As long as Britain remains in the European Union, reciprocal healthcare arrangements continue as before. Expats who live in Spain and contribute to the social security system already receive full healthcare, and will continue to do so regardless of Brexit. The situation for British pensioners is less clear. The current cost of their healthcare is met by a per capita payment from the UK to Spain for every pensioner who has completed the S1 form and is in receipt of a UK pension. Nobody knows if this arrangement will continue, though many commentators predict British pensioners will require some form of health insurance post-Brexit.